Financial One Credit Union, as well as Southern Anoka Community Assistance (SACA) is proud to present the third annual Hops for Hunger! On Saturday, March 28th, brewers such as Boom Island, Dangerous Man, Fair State Brewing Coop, Sociable Cider Works and many, many more will be in attendance. Tickets are $35 and that cost includes the entry fee as well as tasting samples from all of the vendors that will be in attendance. Brandon Projekt and Ash St. Johns Music, a silent auction that will include some awesome prizes, and a raffle if you are feeling lucky. Don’t forget to try some of the amazing food from Chowgirls Killer Catering. The best part of this event is that all proceeds will go to benefit the Southern Anoka Community Assistance food shelf. SACA is a nonprofit that serves the communities of Columbia Heights, Hilltop, Fridley, and Spring Lake Park. 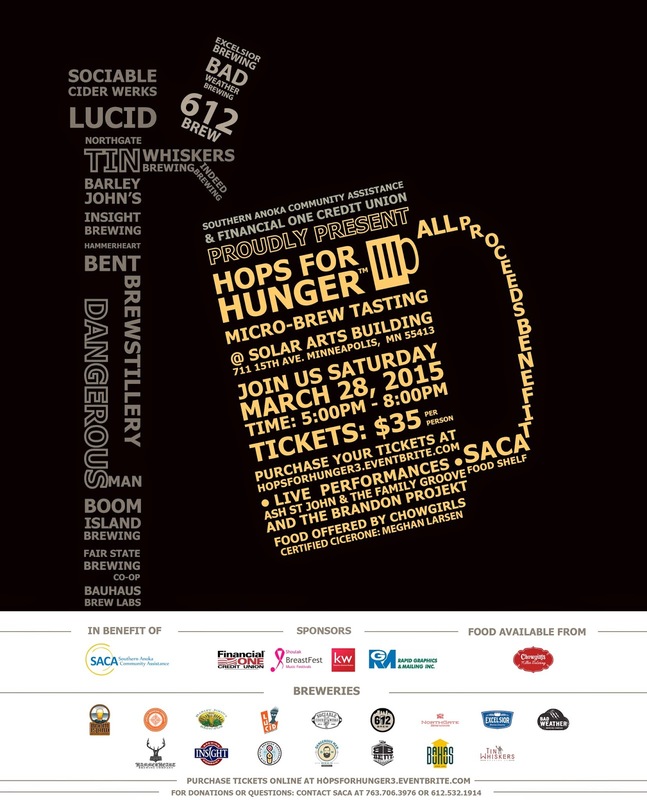 In past years, Hops for Hunger has allowed SACA to purchase 175,000 pounds of food! It will again take place at the Solar Arts Building, 711 15th Ave NE, Minneapolis, just upstairs from Indeed Brewing. As a freshman, it’s important to read and understand the promissory note before signing on the dotted line. As many previous graduates have learned, sometimes paying off your student loans is harder than what you bargained for. Here is what NOT to do when it comes to your student loans. About 60% of students currently take out student loans. The other 40% get around loans by choosing a cheaper school and paying in cash, finding scholarships that can pay for some of the tuition, or putting off school and working to save up some money. Do not sign accepting the loans if you do not need them. Unless you have chosen a very expensive school, you more than likely don’t need to take the maximum amount of money offered by the government. You should evaluate what you truly need and only take out that amount. If you are worried about books and other expenses consider working a part-time job. Whether you are organized or not, throwing away your debt information can hurt you in the long run. Where are you going to send payments if you don’t have your information? If you do lose your paperwork, the National Student Loan Data System is the place to go to try to recover some of your lost information. Try setting aside a few dollars a month and putting it towards your student loan interest. While this may be tough to accomplish on a small budget, it can help you out in the long run if you get rid of some of the debt right away. Don’t let the interest capitalize and be added to your overall balance. Using your loans towards non-school related activities. If you are taking extra money out on loans, don’t use it to buy another case of instant noodles. The best thing you can do is to take that check and immediately pay down your student loans. Spending borrowed money on vacations and off-campus housing isn’t necessary. 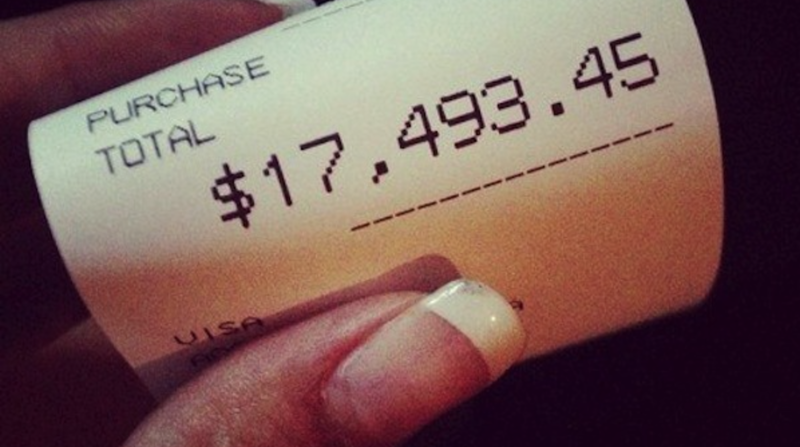 Just because you have a check doesn’t mean you need to spend it.